This prompt reminded me of when I was about eleven or twelve and I had just gotten interested in genealogy. Since it was my new obsession it was something that I enjoyed talking about with anyone who would listen (and even those who wouldn't). One night I was over at a friend's house going on about my family tree discoveries when my friend's mom (who dabbled in genealogy) told me about her ancestor who came over on the Mayflower. Well, I thought that was about the neatest thing EVER and was immediately jealous. Since then I've been able to tie my family tree to the Mayflower also as well as Jamestown (though my ancestor never lived there he was on a supply ship that went there). Those are really my only direct celebrity ancestors and since a lot of folks can trace their lines to the Mayflower and colonial times it isn't such a big deal anymore (though I am still proud and tickled by it). I am related to other famous people though, they are either a cousin of some level or sibling of a relative of mine. These include: Henry Hudson, George Mason, Oliver Cromwell, Daniel Webster, the Beecher family, Harold vonSchmidt, James Buchanan and Rush Limbaugh. Those are only the connections I have verified. 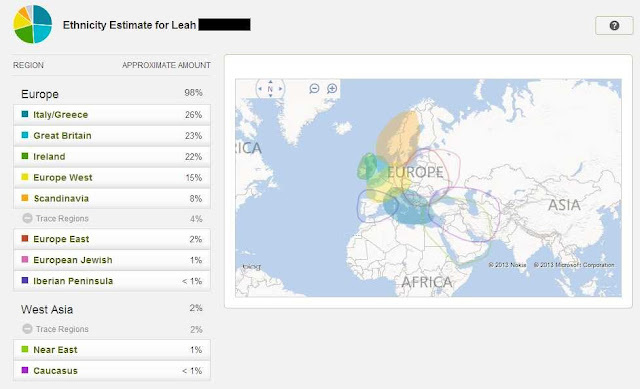 On Ancestry there is a BETA feature for the member trees where they'll scan and find possible "famous" relatives, some of those who came up when I did this include (these are at most fifth cousins however many times removed from my grandparents): Jonathan Swift, William Wordsworth, Samuel Morse, Oliver Winchester, John Locke, Nathaniel Hawthorne, Eldridge Gerry. I haven't verified these so I'm not counting these as definite though the John Locke connection seems pretty likely since I do have some Lockes in my tree. I'm sure that I'm missing a few celebrity relatives because I think just about everyone with early New England ancestry is related in some way. On a regional level I've got some famous relatives, but since most probably haven't heard of them I'm not going to go into into them too extensively. These "small town" celebrities include a distant grandfather who was the first district attorney of Douglas Co., Nevada and possibly other counties in Nevada and northwest California, a distant grandmother who was alledgedly the first baby born in Benicia, California after the city was officially formed. There is also Moses Lyman Jackman, a cousin of a distant gradfather who was an early LDS member (there are also rumors that we're related to Brigham Young). Family legends also say that we're related to various famous folks. Lucretia Mott is an example, only problem with that is that she wasn't born a Mott so we're more likely related to her husband than her. For years everyone in my family also claimed descent from William Penn because they shared the grey eye color trait (pretty flimsy, I know) and for years I've discredited this because there was no proof. Well, now I've found a possibly connection but since there is no proof I'm going to hold off on claiming him as a relative. There was also the typical "Indian Princess" in the family tree, but it turns out that she was born in Dorsetshire, England so that one could be wrong too. Oh, and I'm SURE I'm related Barack Obama too because we all are, right?! That's what it seems like these days, lol.